On Sept. 7, 2017, Amazon made an announcement that kickstarted one of the biggest municipal sweepstakes in U.S. history — the company would be opening a second headquarter. The massive project, known as HQ2, ignited a race among 238 cities to attract the trillion-dollar company. Amazon said the new campus would include an investment of as much as $5 billion and create 50,000 high-paying jobs. A year later, those cities are still waiting. The most recent update came in May, when Amazon said it had completed the process of visiting the 20 cities that had been named finalists for the new headquarters. Amazon spokesperson Adam Sedo declined to comment but said the company remains committed to making a decision before the end of 2018. Trying to predict where Amazon will go has become something of a parlor game among tech analysts and media. The Virginia and Washington D.C. areas have also become a trendy pick thanks to a variety of sites scouted by Amazon and close proximity to the nation’s capital. OddShark, an online gambling information company, lists “Northern Virginia” and D.C. as its favorites for HQ2. Other enterprising Amazon watchers have tried to track the movement and investments of Amazon CEO Jeff Bezos. One business journal tracked Bezos’ private jet, while his real estate investments have been closely watched. He owns the biggest house in D.C., which he is currently renovating. That prompted cities to offer a variety of tax breaks and development incentives. New Jersey offered a $7 billion package of tax credits, prompting questions over whether some locations were going too far in hoping to attract Amazon. Some economists warned that the costs that the new headquarters would bring — the need for more teachers, police officers and infrastructure — could outweigh the economic benefit of HQ2 if cities go too far with their tax breaks. Whichever city Amazon selects, growing scrutiny of the company is bound to continue. 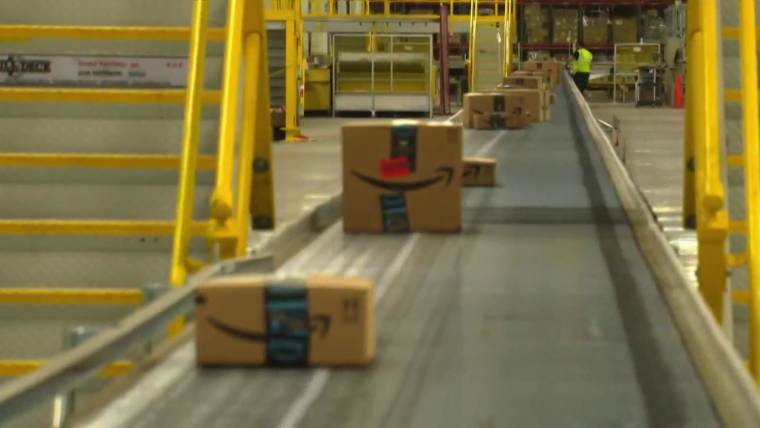 President Donald Trump has attacked Amazon and Bezos, as has Sen. Bernie Sanders, I-Vt., who recently introduced a bill that would target Amazon and other companies whose workers also receive government assistance. Called the “Stop Bad Employers by Zeroing Out Subsidies” Act — which conveniently shortens to the Stop BEZOS Act — the bill would tax companies however much their employers receive in public benefits.